This was a project done for my Introduction to Illustration class. It was a project in which we were asked to create an illustration of a famous character from history in a way that would appeal to middle school students. 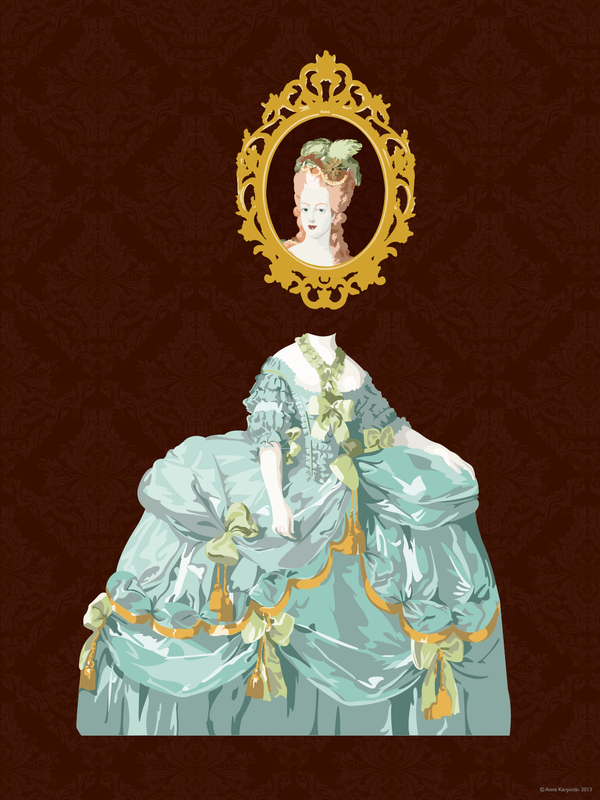 That meant that it couldn’t be violent, so I chose to depict Marie Antoinette’s beheading in a more abstract/conceptual way.